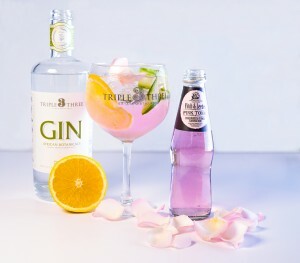 Fitch & Leedes, the superb range of authentic mixers, has come up roses with the launch of the new blushing Pink Tonic – a perfect fit for delicately crafted premium gins. Pretty in pink with whiffs of rose petals and fresh cucumber, this new Fitch & Leedes Tonic is poised to be the perfect accompaniment to fine gins. Fitch & Leedes tonics pride themselves as the understudy to greatness, accentuating the botanical character and subtle notes of hand crafted gins. Understanding the time and effort put into perfecting a premium gin, new Fitch & Leedes Pink Tonic is delicately carbonated and finely balanced to ensure the best taste representation of what was intended by the master distiller. “The Pink Tonic works well with the Hope on Hopkins Mediterranean Gin, where the olives and herbs are complemented by the cucumber notes. 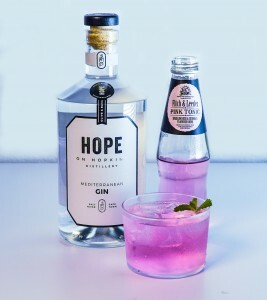 With its gentle flavour profile and beautiful pink hue it allows the botanicals in the gin to shine through,” explains Lucy Beard of Hope on Hopkins Distillery. 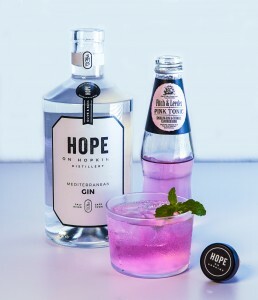 “The spiciness of our Musgrave 11 is cooled by the cucumber notes in the Pink Tonic, while the hints of rose petals give the gin a delicate edge,” adds Simone Musgrave of Musgrave Gin. Let the new Fitch & Leedes Pink Tonic take you back to an era when things were still made with the utmost care and craftsmanship. Inspired by the intrepid gentlemen merchantmen of London, Ralph Fitch and William Leedes, who set sail on the Tyger in 1583 in search of new, exotic tastes in India and the East, Fitch & Leedes speaks of the romance and integrity of a bygone age. The elegant new rose and cucumber tonic adds a unique twist to your classic G&T. 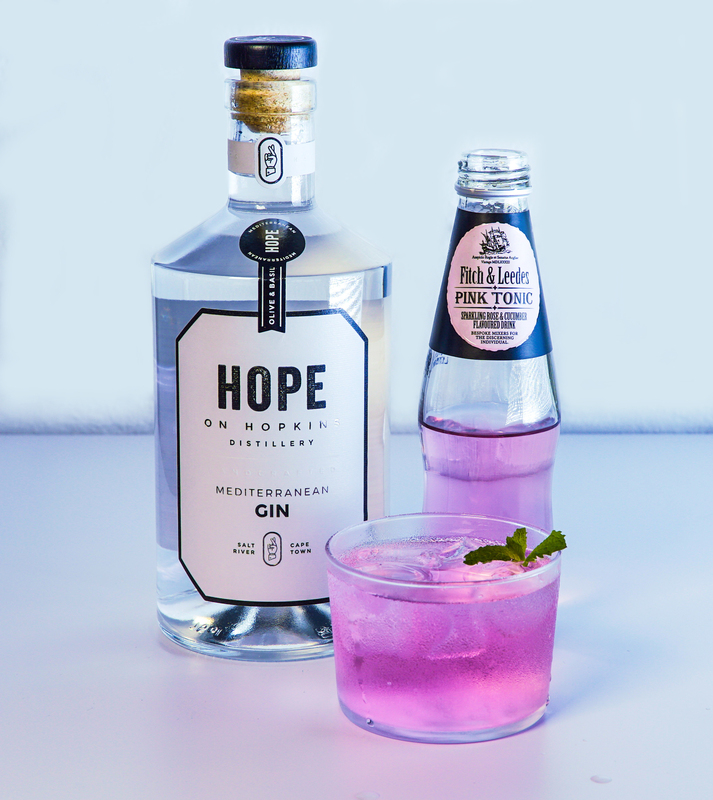 Hope on Hopkins Mediterranean Gin is infused with olives, rosemary, thyme, basil and cardamom with citrus notes and hints of juniper. Add 1 part gin to 4 parts Fitch & Leedes Pink Tonic. Garnish with a sprig of mint. Musgrave 11, inspired by the flavours and history of Africa and its ancient spice route, is crafted with eleven botanicals. Add a double tot of gin to 200ml of Fitch & Leedes Pink Tonic. Garnish with a ribbon slice of cucumber and rose petals. 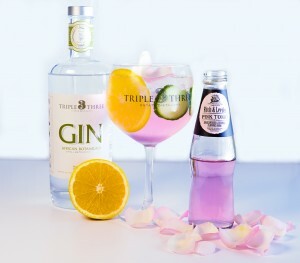 Triple Three African Botanicals Gin is carefully distilled from seven botanicals including the flora of the Western Cape. Add 50ml of gin to 200ml of Fitch & Leedes Pink Tonic. Garnish with a cucumber slice, orange wheel and rose petals.